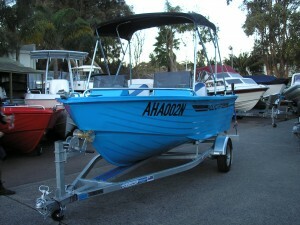 Polycraft is dedicated to producing soft and quiet riding, strong, durable, and easy to clean and maintain boats purpose built for fisherman and recreational boaters alike. We use a roto-moulded polyethylene construction system to build dual hull boats in one seamless piece. There are many advantages of using polyethylene in the boat construction process – it is not susceptible to electrolysis or osmosis, never requires painting, is easy to clean, UV stable, and requires little or no maintenance. 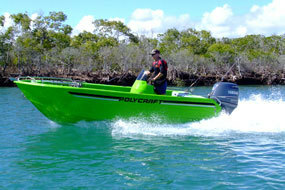 The low density polyethylene used in Polycraft boats is naturally buoyant and has several times the impact resistance of traditional boat building materials such as fiberglass and aluminium. The ride characteristics of a Polycraft boat also have to be experienced to be believed. The low density polyethylene used in the manufacturing process is designed to be flexible, thus enhancing the on water performance of the hull by flexing and absorbing wave impact and noise into the hull and not the passenger. This all goes into creating a smooth, quite ride that is unique to Polycraft boats. All Polycraft boats are also covered by a 4 year hull warranty (recreational use) and 1 year hull warranty (commercial use).